New Year’s Resolution Fading? 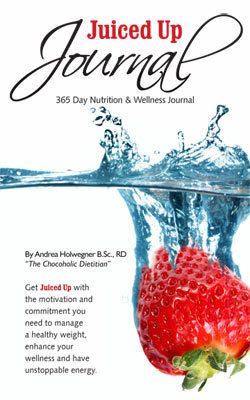 How journaling can help | Health Stand Nutrition Consulting Inc.
How can journaling help you get back on track with a healthier lifestyle? You likely already know that keeping a journal of your food, exercise and health habits might be a good tool to improve your lifestyle. If you are serious about changing your habits, keeping a journal is one of the single most important behavior change tools you can use. There is not only an overwhelming amount of research in the health and weight loss industry, but there are a large number of experts in personal development and business success that preach about the benefit of keeping a journal. Journaling helps you become aware of your patterns and ultimately what and how to change for the better. The simple act of writing down what you eat, your physical activity patterns, goals and reflections encourages you to change your behavior for good and achieve success. What about weight loss, is there evidence it can really help? If you are like many Canadians who are trying to lose weight you might be interested in a research study by Kaiser Permanente Centre that was published in the American Journal of Preventative Medicine in August 2008. This study showed that overweight participants who were put on a healthy eating diet and exercise program were able to lose DOUBLE the weight when they religiously wrote down what they ate each day. Those who did not write down what they ate still lost weight due to a healthy eating plan, but were not as successful with meeting their weight loss goals. I developed a journal that people could use to track their weekly goals along with their daily food intake, activity patterns, remembering to take your vitamins/medication, how much water you are taking in, and personal reflections which can help you come up with strategies for when you stumbling. You will also find 52 inspirational quotes to spark your motivation throughout the year.